Everyone loves a good game of tic-tac-toe but tic-tac-toe with a fun twist can be even more enjoyable, especially when the game is "green". 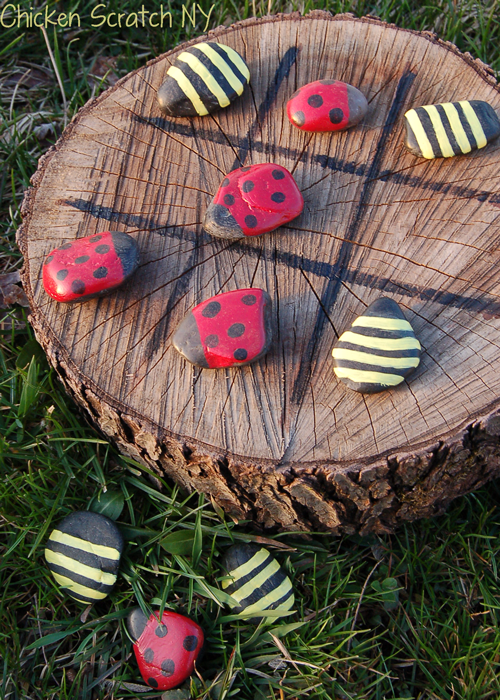 With some rocks, a tree log and some imagination you can create your own unique and fun tic-tac-toe game. Click here to visit Chicken Stratch NY to find out how to make your own nature themed tic-tac-toe game.